The Ibn Taymiyyah Media Center (ITMC), a jihadist media unit tied to the Mujahideen Shura Council in the Environs of Jerusalem (MSC), yesterday released the second episode in a series titled “Journey of Martyrdom.” The approximately 31-minute video focused on Hithem Ziad Ibrahim Masshal, a well-known jihadist in the Gaza Strip who was killed in an airstrike by the Israeli Air Force on April 30. The first episode in the series was released in early February 2013 and focused on MSC member Khalid Salah Abdul Hadi Jadullah (a.k.a. Abu Salah al-Masri). 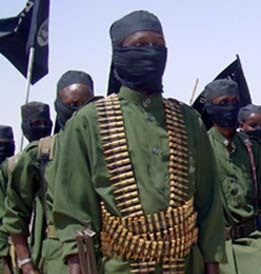 Jadullah, who was portrayed as an al Qaeda martyr, was a member of the MSC cell responsible for carrying out a cross-border attack that killed an Israeli civilian on June 18, 2012. When “the door of democracy became wide open in Palestine,” the narrator says, Masshal left “the nationalistic and democratic organizations, and started the journey of searching for a clear way and a pure sect that helps him to carry out the obligatory duty of jihad in the Cause of Allah.” Masshal soon started to follow Khalid Banat (Abu Abdullah al Suri), a leader in Jund Ansar Allah who had claimed to have fought with leading al Qaeda figures, including Osama bin Laden and Abu Musab al Zarqawi. After Hamas failed in an attempt to arrest Banat, Jund Ansar Allah declared Hamas to be impotent, and in early August 2009 Sheikh Abdel Latif Musa, another Jund Ansar Allah leader, declared an Islamic emirate in the Gaza Strip, a move that greatly upset Hamas. 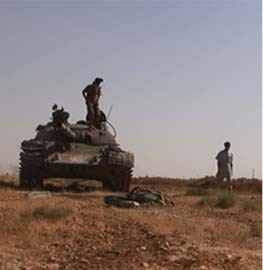 Shortly after the declaration, Hamas forces clashed with Jund Ansar Allah fighters at Rafah’s Ibn Taymiyyah Mosque. 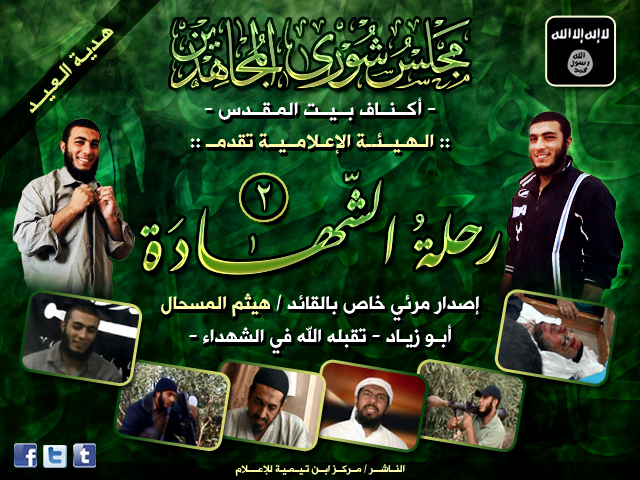 Numerous people from both Hamas and Jund Ansar Allah were killed in the fighting, including Musa and Banat. According to the narrator in the MSC’s new video, Masshal followed the incident at the mosque “with pain and surprise.” The jihadist “saw the blood that was shed, the body parts that were scattered, and the homes that were blown up, and he saw that Allah’s house was vandalized and the green banner [of Hamas] raised on its sad minaret,” the narrator says. After the incident and the demise of Jund Ansar Allah, the narrator explains, Masshal joined the Tawhid and Jihad Group in Jerusalem, which was headed by Abu al Walid al Maqdisi. Al Maqdisi is a longtime jihadist who claimed to have fought alongside al Qaeda in Iraq in the early days of the Iraq war in 2003 before returning to Gaza and establishing the Tawhid and Jihad Group. A biography released by the group stated, however, that al Maqdisi was arrested by Egyptian security forces while trying to travel to Iraq. Al Maqdisi was killed by an Israeli airstrike in Gaza on Oct. 13, 2012, along with Ashraf al Sabah, the former emir of Ansar al Sunnah. According to the narrator, while in the Tawhid and Jihad Group in Jerusalem, Masshal “continued his project in manufacturing rockets and he had started making the first local version of the international Katyusha rockets.” In addition, al Maqdisi viewed Masshal as “an example for the soldiers of tawhid of giving, sacrifice and courage,” the narrator claims. “He focused his efforts with his brothers in organizing the ranks and making preparations for confrontation with the enemies of Allah the Jews. He did very well in the rocket campaigns that the lions of the Council carried out, and he had a big share in manufacturing and firing, may Allah bless and reward him,” the narrator adds. In addition to comments from the narrator, the video includes clips from Masshal’s mother, who says that “[w]hen he moved up to junior high he was changed from a student to a mujahid.” His mother also slams Hamas, the ruling power in Gaza, for detaining her son for a month “without accusation.” “Why would a mujahid be detained?,” she asks. Hithem Ziad Ibrahim Masshal, a well-known jihadist in the Gaza Strip, was killed in an airstrike by the Israeli Air Force on April 30. According to the Israel Defense Forces, Masshal “manufactured, improved and traded different types of ammunition” for various jihadist groups in Gaza, and was involved in the April 17 rocket attack on Eilat from the Sinai that was claimed by the MSC. Within hours of his death, the MSC released a statement through the Ibn Taymiyyah Media Center confirming that Masshal was a member of their organization. “He stepped everywhere there is jihad, wanting to die, so may Allah have mercy on you, Abu Ziad. 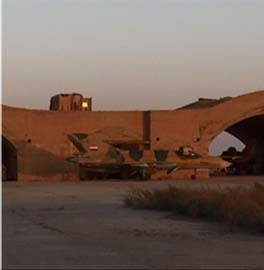 The enemy sites will miss you, which you didn’t hesitate for one day to pound with rockets,” the group said. 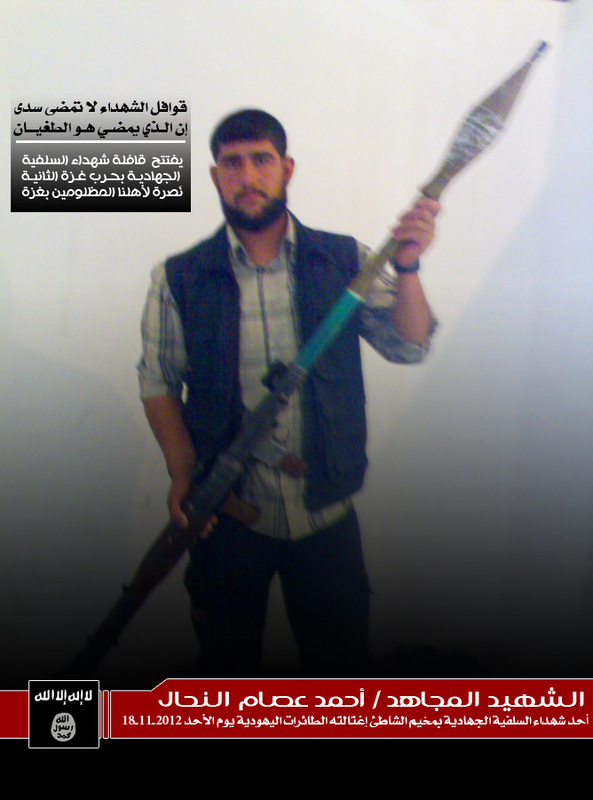 Al Ashqar also alleged that Masshal “was the first to have manufactured what is known as ‘107 rockets’ [107mm Katyusha] in the Gaza Strip.” Thanks to the work of Masshal, al Ashqar claimed, “a local copy of the 107mm Katyusha rocket… is [now] in the hands of all the mujahideen” in Gaza. 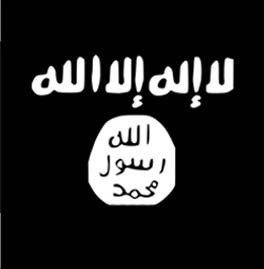 During his funeral, Masshal was wrapped in al Qaeda’s black flag, which was first used by al Qaeda in Iraq but has been adopted by other al Qaeda affiliates. On Oct. 22, 2012, the MSC released a 32-minute-long video detailing some of its rocket attacks against Israel and threatening to “fight you [Israel] as long as we hold…weapons in our hands.” In November 2012, the group carried out joint rocket attacks with the Army of Islam. Following the institution of a ceasefire that ended Israel’s Operation Pillar of Defense, the MSC said that they were not truly a party to the ceasefire. Over the past two years, the Israeli Air Force has targeted a number of MSC members. On Oct. 7, 2012, the IDF targeted Tala’at Halil Muhammad Jarbi, a “global jihad operative,” and Abdullah Muhammad Hassan Maqawai, a member of the MSC. 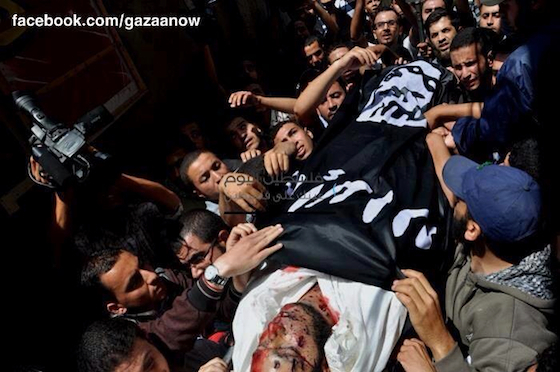 Maqawai, likely a former member of Palestinian Islamic Jihad, died of his wounds. On Oct. 13, 2012, Israel killed Abu al Walid al Maqdisi, the former emir of the Tawhid and Jihad Group in Jerusalem, and Ashraf al Sabah, the former emir of Ansar al Sunnah, in an airstrike. The two men were said to be leaders of the MSC. Numerous jihadist groups and media units as well as al Qaeda emir Ayman al Zawahiri issued statements following the death of the two jihadists. 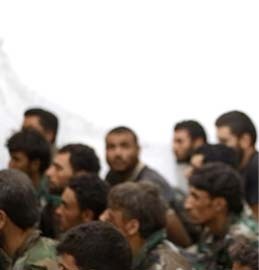 In June, jihadists in Syria called on Hamas members as well as members of other Palestinian factions in Gaza to join the Mujahideen Shura Council in the Environs of Jerusalem. 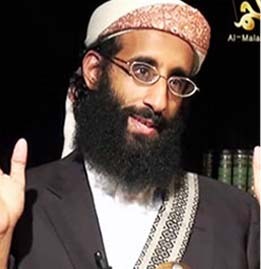 Since its formation, the group has released a couple of eulogies for slain al Qaeda leaders. For example, in September 2012 the group released a eulogy to jihadist forums for Abu Yahya al Libi, a longtime al Qaeda leader from Libya, who was killed in a US drone strike in Mir Ali in Pakistan’s Taliban-controlled tribal agency of North Waziristan on June 4, 2012. More recently, in mid-July, the group released a statement of condolence to al Qaeda in the Arabian Peninsula (AQAP) after it confirmed the death of its deputy leader, Said al Shihri (a.k.a. Abu Sufyan al-Azdi). Let them all kill each other. If they they are fighting each other they are not fighting us.